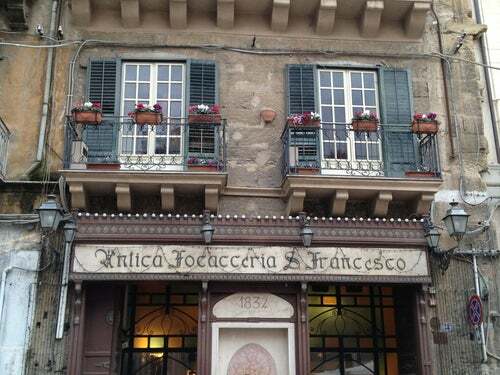 Founded in 1834, this traditional tavern is regarded as a mandatory culinary destination for any trip to Palermo. This is why there are so many tourists among the masses of local visitors who make their way to the beautiful Piazza San Francesco every evening. The top floor there is table service, on the bottom two floors there is self-service. The quality of the very affordable classic Sicilian dishes (swordfish, panini) has recently been questioned -- but what's really great is the old ambience with marble floors and the Art Nouveau furnishings.